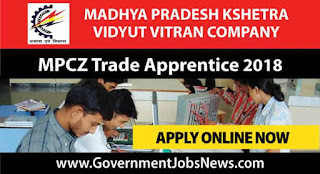 Madhya Pradesh Kshetra Vidyut Vitran Company invites application for MPCZ Trade Apprentice Online Form 2018. 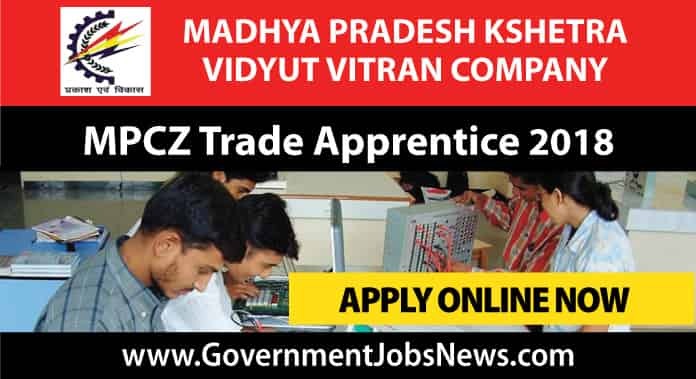 MPCZ Various Trade Apprentice Recruitment 2018-2019 online form is available now. Interested candidates can check all the eligibility criteria for MPCZ Trade Apprentice Online Form 2018 and apply online for the desired Trade. All the details are given below. Candidate should Pass in Class 10th High School with ITI Certificate in Related Trade. The Eligible candidates have to apply online at www.apprenticeship.gov.in before 31/10/2018.